MURAMEN UBelt, an affordable ramen place, it's instagrammable too! 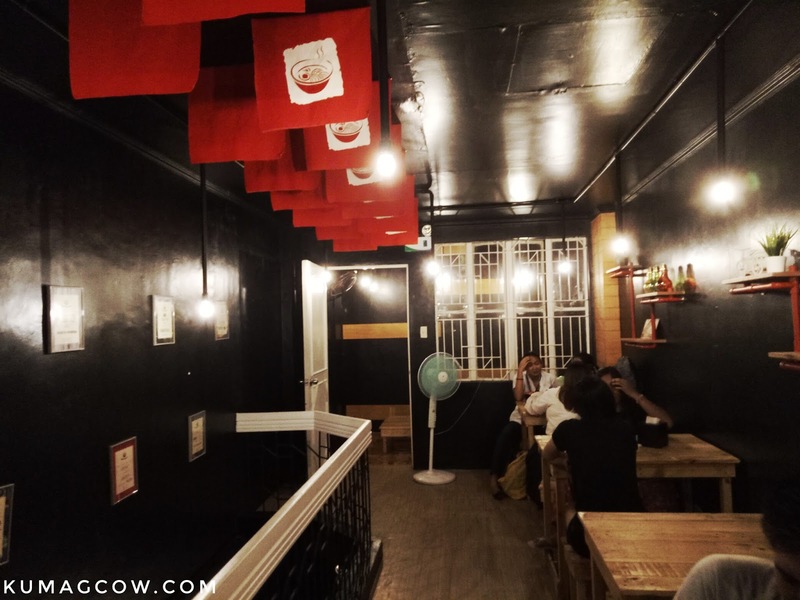 News spread like wildfire that our boy Nash Aguas and his friend Carl Barrameda had put up a new ramen place over at the University belt area. We couldn't wait to actually see it for ourselves so we did the next best thing and review this joint on our own time. My neighbors Rai and Stanley were game too so right after a whole morning of shopping in the nearby Recto district, we went on our way to MURAMEN UBelt at 1174 Sh Loyola, Sampaloc, Manila. The place is right at the intersection of Tolentino and Loyola streets, so if you're taking public transportation just go down at Tolentino street in Espana, then walk a block to get there. You will spot the shop right across the street. See the sign? The place is pretty small. It's not your run of the mill restaurant but more of a place where students can dine, definitely not intimidating. It's apt for the audience they're trying to attract as they literally sit right beside schools like UST, FEU, UE and a couple of other colleges. This isn't fine dining, but it's clean and tidy. It also needs a little upkeep but we've seen people assist with eagerness. That's a sign that they love what they are doing. This is downstairs, where they house their front of house, the kitchen and their comfort room. This is where the action usually occurs because before you go up, you must order here. First off, I would like to congratulate these young entrepreneurs for keeping the price friendly. They must have spent a lot in the interior but didn't get that in the way of putting all the expense in the food. That's a good thing. Rai ordered right away! This is the second floor. 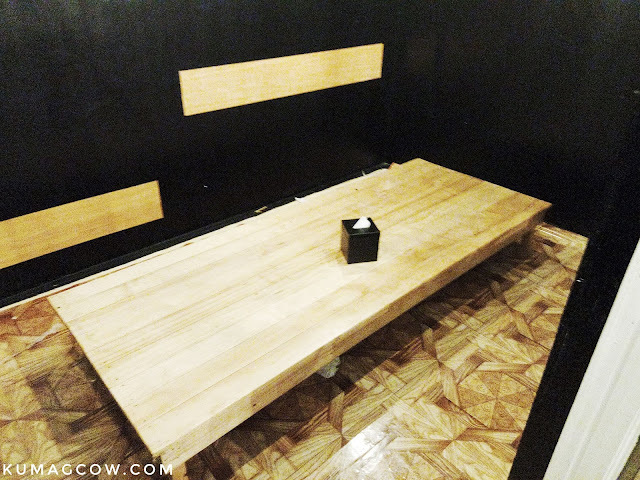 The place can probably sit around 32 people, more if you're willing to budge on some of the seats since they also have a private room for that. 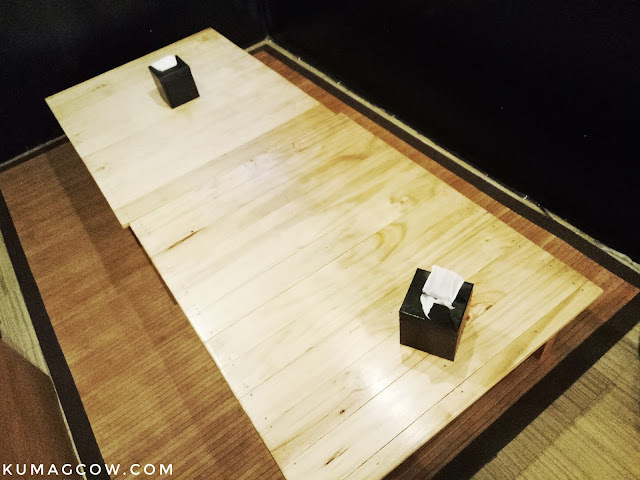 It's not Tatami but it's comfy to hang out with friends or family. 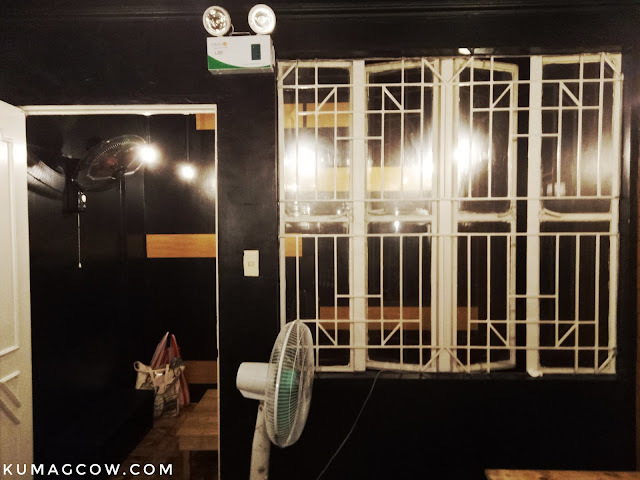 This place is also air conditioned but they have electric fans just in case you have places that couldn't be reached by it. Again, it was comfortable by my standards. This is the private room that I mentioned earlier. I would have figured this would have been a single room if this place was an apartment. If I were in a group of 5 people or more I'd probably sit here. We went to the wooden table though because we were already tired walking the whole day. We couldn't wait to taste the ramen we ordered! 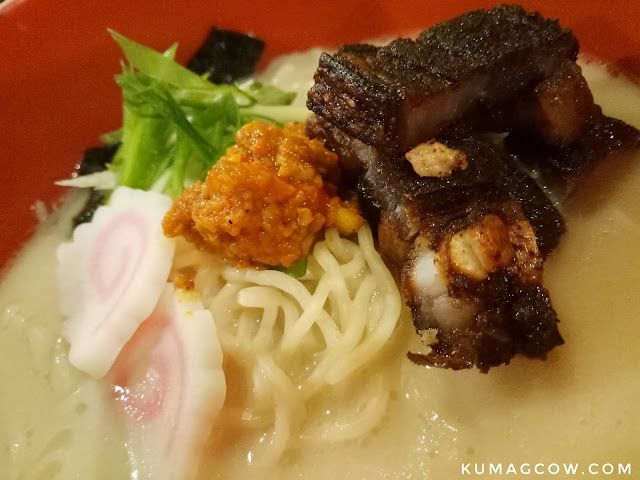 MURAMEN serves ramen with a bone broth base. It's also called Tonkotsu in Japanese which is milky white in consistency. It's made of pork, chicken or beef marrow bones, tons of fat, spices and even dried fish sometimes. It's either cooked an hour, or for several hours depending on the Chef's preference. 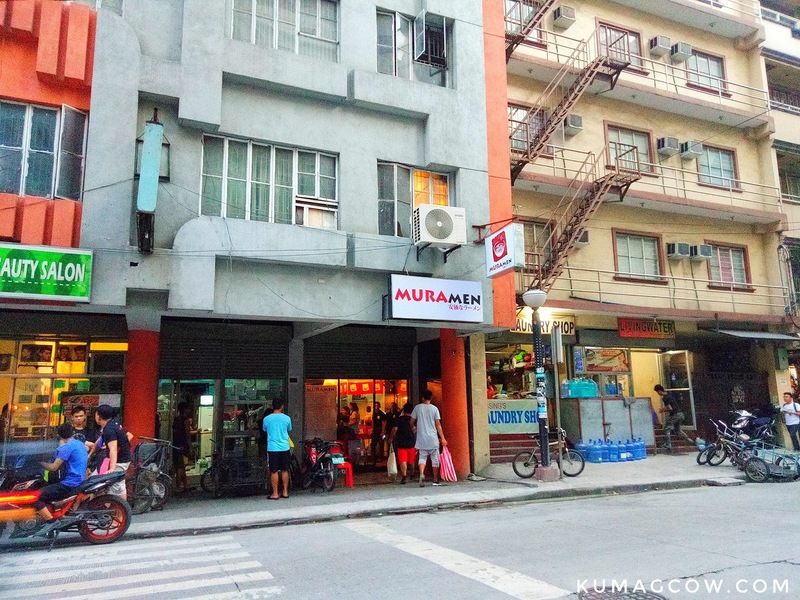 They have the original MURAMEN pegged at Php 120.00 while they also have a JR. MURAMEN (smaller serving) for only Php 80.00. They have the SPICY MURAMEN and JR. SPICY MURAMEN priced the same too, so see how affordable it is? Now if you want your MURAMEN to be a little special, they have the toppings and extras that can be ordered separately. 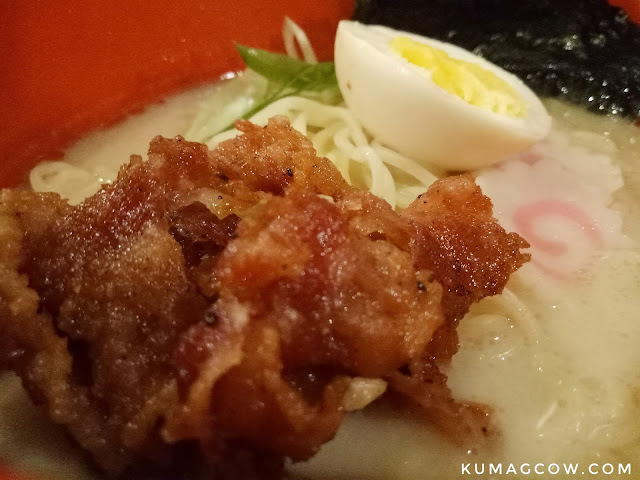 The Bacon Chasu costs Php 29.00, the Lechon Kawali is Php 39.00, the Tamago/Egg at Php 15.00 and Fresh Gyoza at Php 49.00. You can have them all put on top of your bowl so just ask for it. They also have extra rice and extra noodles, so order more if you feel like it. I ordered the MURAMEN (original) and asked to add Bacon Chasu on it. 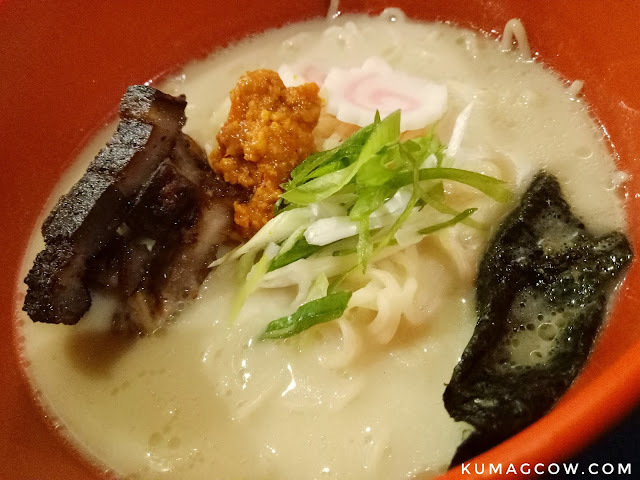 The serving is actually good for the price, and the taste is quite light unlike other ramen shops in malls. 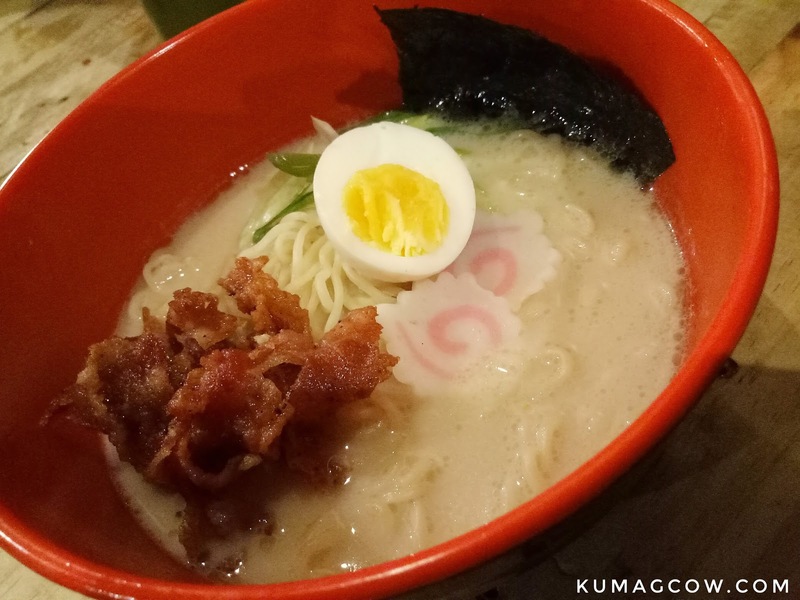 I'd suggest they improve one thing though, if it's possible to actually cook the bacon to order (or heat it up when people order) because the one on top of my ramen was already cold when it arrived. But aside from that, this was a good deal. I would pay a good amount of money for good ramen, but since they've catered to students, this isn't just a great deal, THIS IS AN AWESOME deal. 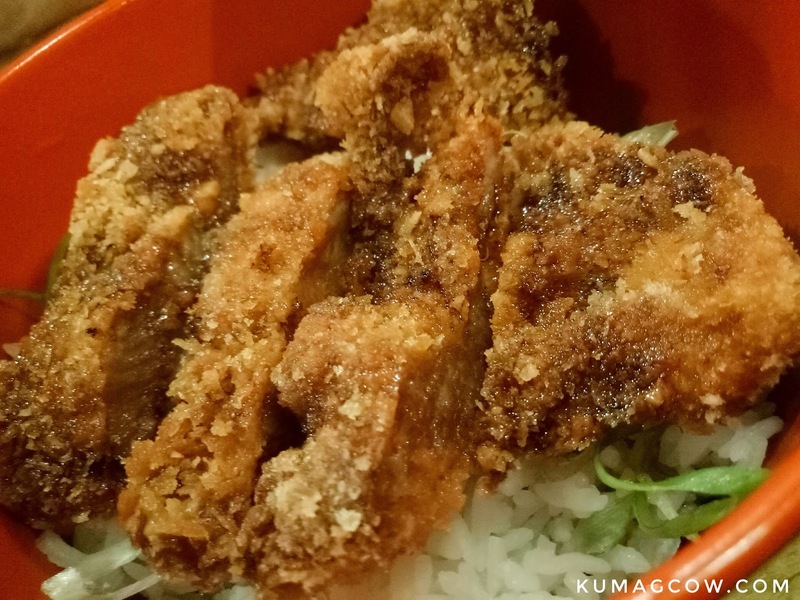 Imagine a bowl of it for Php 120? While other shops would have priced this at around Php 400, so really, you can't complain. This is the SPICY MURAMEN. If you're going to order something good, make it this one. Stanley ordered this one and added the Lechon Kawali topping just for fun. The spice level comes from this bean paste you see on this shot, imho it's better than the original one and please try it even if you don't like spicy stuff. It makes the broth more alive, tasty and make your trip to Manila (if you're from QC like us) all worth it. This is the PORK TONKATSU which is part of their Rice Bowls line. It's freshly cooked, a bit overcooked perhaps in the photo but for the price, how can we complain no? They have other things like the Chicken Karaage, Beef Bowl and Chicken Katsu. I would like to suggest you order this or the Beef Bowl because I find them more appealing. 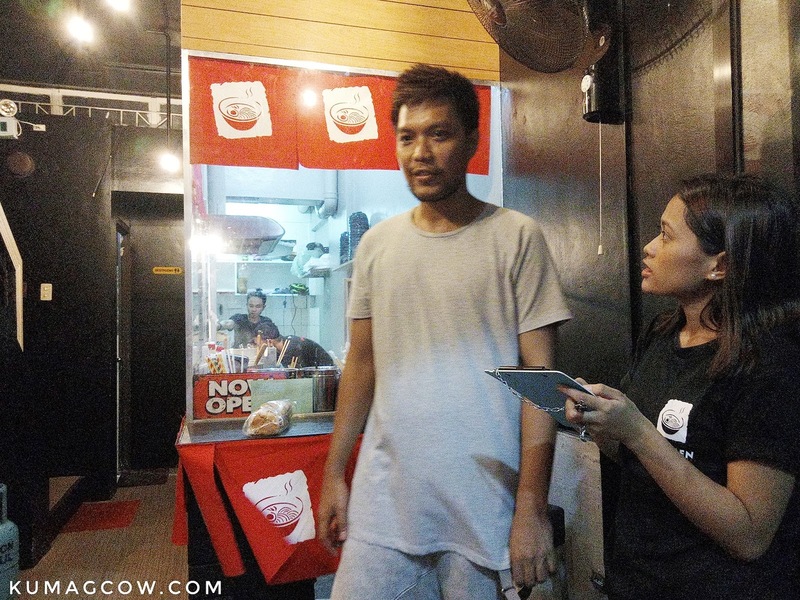 All their rice bowls though are Php 99 only, so if you're a rice loving person, this is it. You can also order the Calamansi or Dalandan Juice which they make in huge bottles for sharing. It's quite healthy, super worth the price if you ask me. 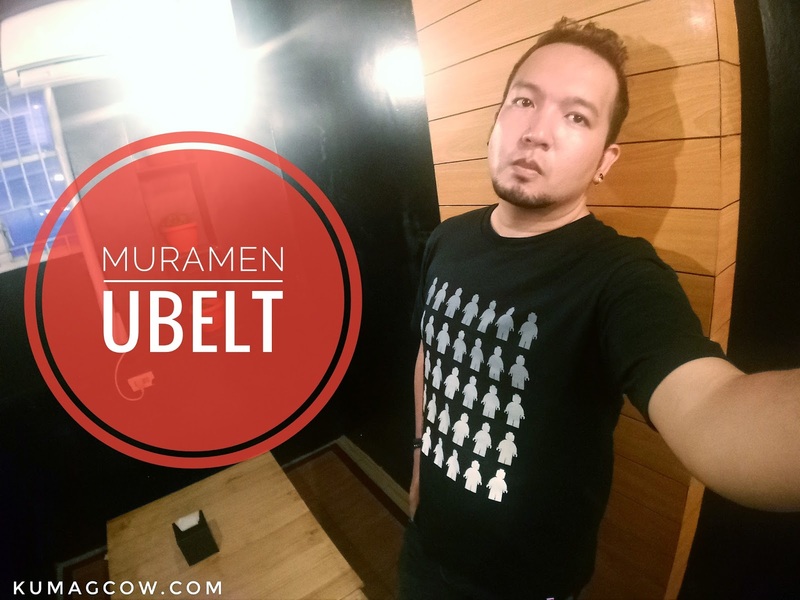 So if you're around the university belt or Espana area, please make sure you take the trip to MURAMEN UBelt at the corner of Tolentino and Loyola streets in Sampaloc, Manila. You don't have to reserve, there are lines sometimes, but really, it's worth all the trouble going there. Oh and yes, Nash and Carl often are in the shop during their free time so if you are fans of the two, you know where to go! Congratulations Nashie! You're doing good in the business, and you're helping a lot of students in Manila. 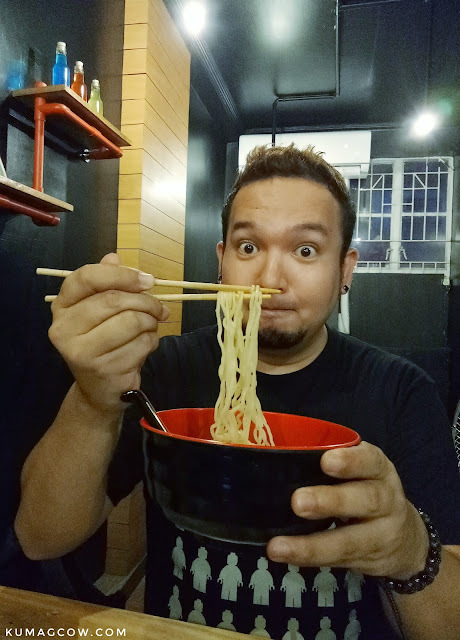 Imagine a ramen bowl for Php 120? It's so MURAMEN!